When Mel Brooks directed his epic 1987 parody of Star Wars, he had no idea Jar Jar Binks was on the way. We can only dream of what might have been. And on Friday, Jan. 2 at 8 p.m., we can thrill to the Borscht-belt sci-fi schtick-flick Spaceballs at the Arcata Theatre Lounge ($5). 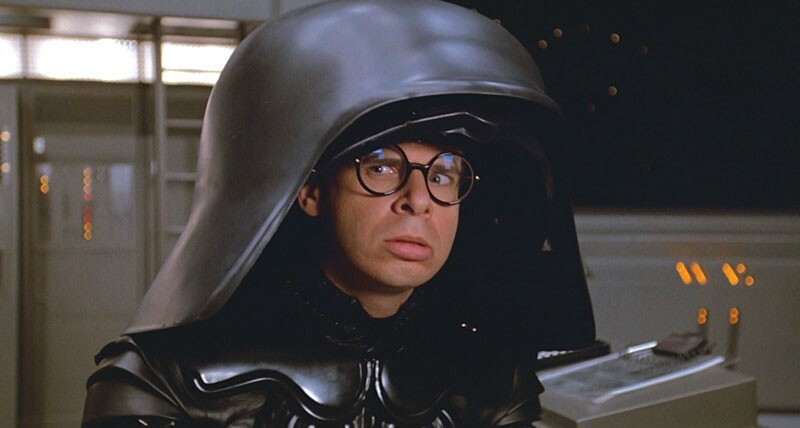 John Candy in a dog suit, Rick Moranis in a trash can of a helmet, droid Joan Rivers and Brooks himself in a pair of rubber Yoda ears — there's your five bucks right there. The space Winnebago, Daphne Zuniga as a runaway Druish princess, Dark Helmet's action figures and Bill Pullman learning to harness the power of the Schwartz are all gravy.